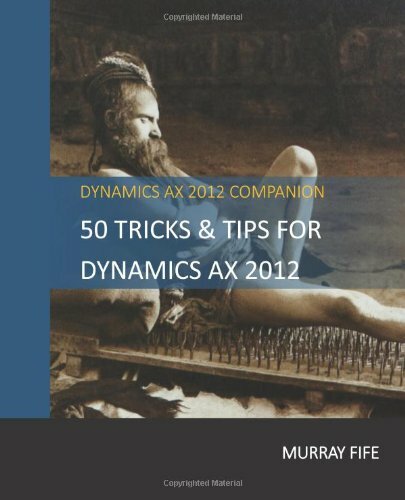 If you want to track additional attributes against Products within Dynamics AX, you can easily do it by adding Attributes to your product through the new Retail capabilities. 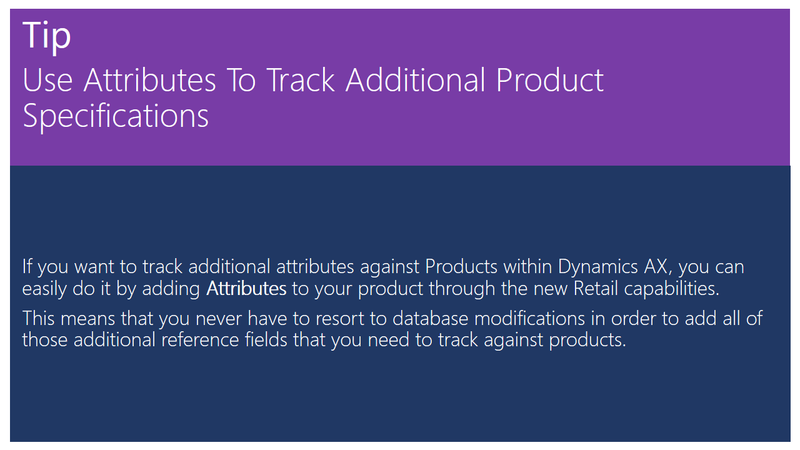 This means that you never have to resort to database modifications in order to add all of those additional reference fields that you need to track against products. First we need to configure our attributes. 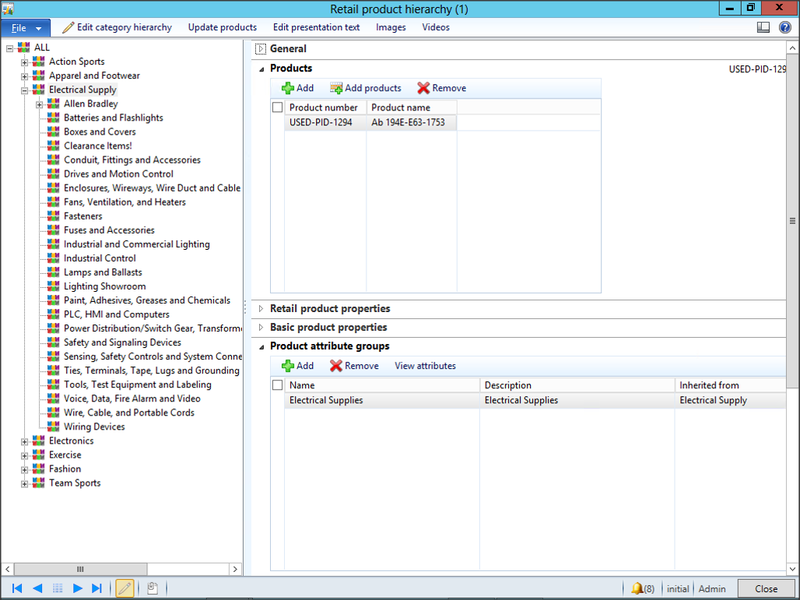 To do that, click on the Attributes menu item within the Attributes folder of the Setup group within the Product Information Management area page. When the Attributes maintenance page is displayed, add records for all of the additional attributes that you want to track against the products. When you are done press the Close button to exit the form. 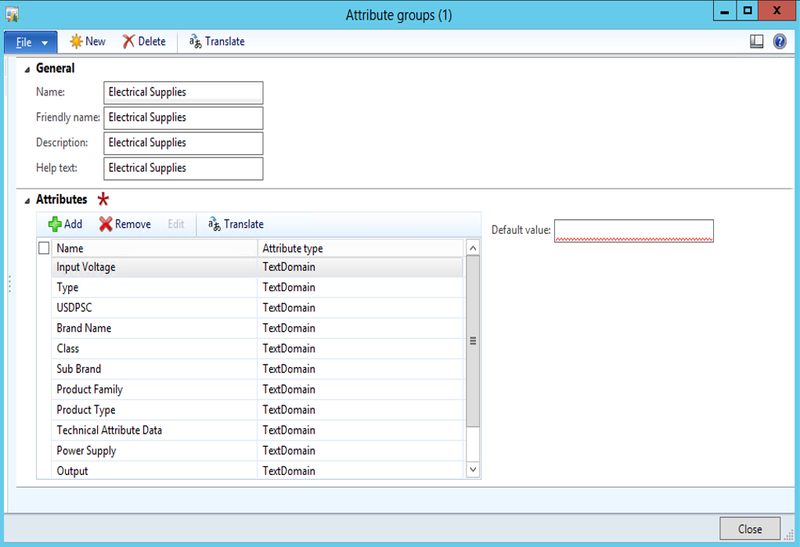 Next we need to configure an Attribute Group which will reference all of the attributes at once. 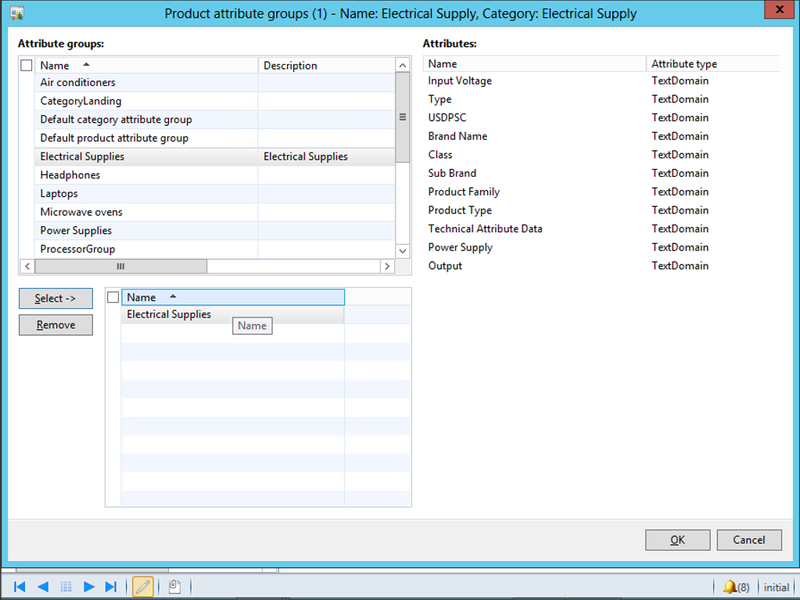 To do that, click on the Attribute Groups menu item within the Attributes folder of the Setup group within the Product Information Management area page. When the Attribute Groups maintenance form is displayed, add a new record for the Attribute Group and then add all of the associated Attributes to it. Finally we want to associate the Attribute Group with the node within the Retail Product Hierarchy so that all products that are within that hierarchy inherit the attributes. To do that, click on the Retail Product Hierarchy menu item within the Category Hierarchy folder of the Setup group within the Retail area page. 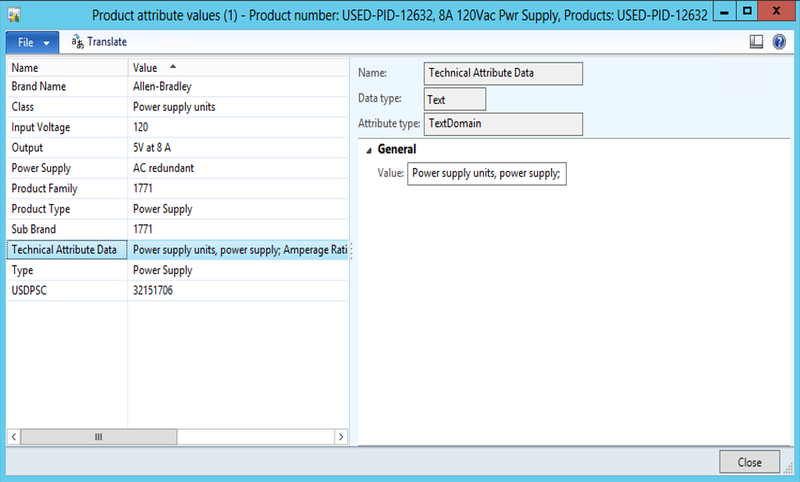 When the Retail Product Hierarchy maintenance form is displayed, select the node that you want to apply the Attribute Group to and add it to the Product Attribute Groups tab by clicking on the Add button. When the Product Attribute Group selection dialog form is displayed, just select the Attribute Group that you want to apply to the products, and click the Select button. To view and edit the Attributes, select your Released Product, and then click on the Product Attributes menu item within the Setup group of the Product ribbon bar. 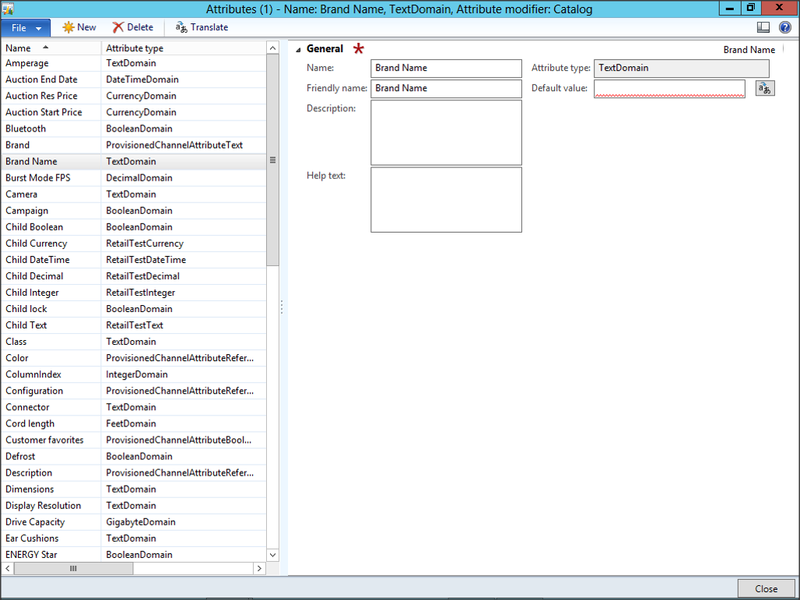 Now you will see all of the Attributes that are inherited by the Released Product from the Retail Hierarchy and you can update any of their values.